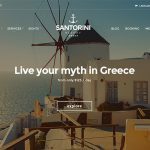 Aegean Resort is a WordPress theme designed specially for hotels and resorts. It allows you to display your rooms and create photo galleries in order to properly demonstrate your facilities and services. It also includes a homepage slider and custom widgets specially made to beautifully combine your content. Agora is a responsive eCommerce theme for WordPress. It is WooCommerce compatible and allows you to easily setup a beautiful e-shop for your merchandise. Its homepage consists a slider and a widget area that allows you to use widgets and display your content. Amaryllis is an eCommerce theme for WordPress. It is WooCommerce compatible and pretty straightforward in usage. Amaryllis is an eCommerce theme for WordPress. It is made to help you create a beautiful yet practical e-shop with a unique layout. 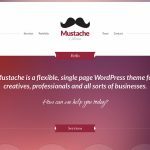 To enhance the practicality of your website, the theme includes a slider and a single widget area that allows you to easily add or remove multiple widgets. Beauté is a health & beauty WordPress theme. It is compact and lets you easily create a lovely website to display your services and the personnel providing them. You can also add photo galleries and fully demonstrate the quality of your work. Your homepage includes widgets specially designed in order to bring your content together. 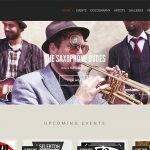 Berliner is a WordPress theme designed for musicians and record labels . It allows you to display your content by using multiple posts, these are slides, events, discography, videos, galleries and artists. The homepage uses widgets specially crafted to bring these post types together. 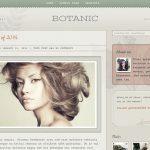 Your own beautiful top designer theme for blogs with the functionality of WordPress. Flexible yet stylish, it is made to produce a layout beautiful and simple to usage. Business3ree is a business theme for WordPress. It is made to facilitate all company types and professionals. It can also be used as a standalone portfolio-blog. It features multiple posts that allow you to extensively demonstrate your work. The homepage has a slider and a fullwidth widget area made to create a beautifully organized layout of your posts. 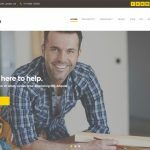 BusinessOne is a WordPress business theme. It is made for all company types and professionals. It can also be used as a standalone portfolio-blog. The homepage includes a slider and four fullwidth custom widget areas so that you have all the space you need to present your content. 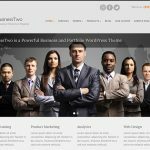 BusinessTwo is a business theme for WordPress. It lets you list your services, display your products and work, and showcase your clients. Also the homepage includes custom sections along with widget areas that bring your post’s together. Coastline is a premium WordPress theme designed for creative professionals. With Coastline you can display your works and projects in a simple, beautiful and functional manner. Your portfolio is boosted with additional functionality to help you shape your desired layout. 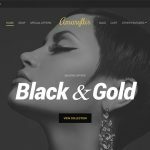 Corner, is a premium WordPress theme designed for personal use.It is specially made so that you can easily create a functional and beautiful website upon which you can display your thoughts, pin items and be creative! Cousteau is a travel theme for WordPress. Specially made for travel agents it helps you organize and display your packages extensively. Plus it includes space for the demonstration of your clients reviews. The homepage consists a slider and widgets that combine your content in a stylish manner. Deli is a beautiful, single page business theme with a single column layout. It is a minimal theme, ideal for small businesses that need a simple yet effective online presence. Design your perfect online magazine or blog with Dolce, a responsive, stylish WordPress theme for demanding users. 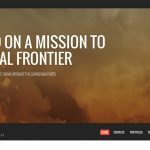 Eclecticon is a unique WordPress theme made exclusively for creative professionals. It allows you to display your projects easily and create a stunning collection that will entice your viewers. 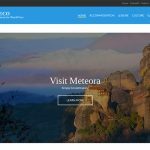 El Greco is a travel guide theme for WordPress. It allows you to easily display your content in an appealing yet practical manner. 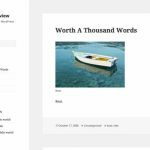 Each post has been further customized to give you the ability to add a review score or a hot-word in order to highlight it. 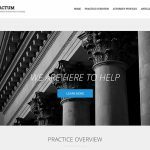 Factum is a single page business WordPress theme, made for law companies, attorneys or legal offices. It is versatile and allows you to extensively display your content. 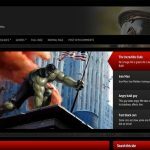 Create the website you need by using this unique theme. Femme is a responsive magazine-eCommerce theme for WordPress. It is WooCommerce compatible and allows you to easily setup a functional and beautiful e-shop. Its homepage acquires a slider and a widget area upon which you can use various widgets to display your content. Flevr is a responsive business theme for WordPress. It is made for companies and professionals. It can also be used as a standalone portfolio-blog theme. It includes various post types that allow you to fully demonstrate your work. The homepage includes a homepage slider and a full-width widget area for your convenience. Glare is a media WordPress theme made specially for photographers. 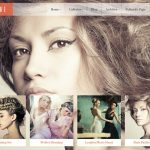 Create your ideal website with a theme that helps you display your work in a classy manner through its galleries post. Demonstrate your heart’s content using Hartee. A gorgeous tumblr-like website is waiting for you to create it with this simple yet beautiful theme for WordPress. 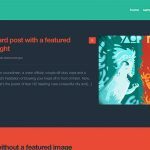 A super customizable, colorful blogging theme for WordPress. Ideal for creating a simple yet beautiful website. Hernán is a responsive WordPress theme for DJs, music artists, bands, radio stations and everyone in the music business. It consists various flexible features, made to facilitate the proper demonstration of your music. 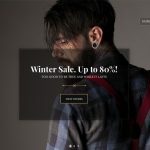 Herringbone is an e-Commerce theme for WordPress. It is WooCommerce compatible and allows you to easily setup a fully functional e-shop. Its homepage has a single widget area that provides you with extra functionality. 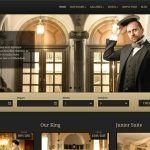 Trying to impress your customers with a new stylish website for your Hotel? 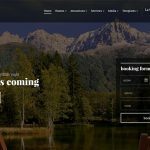 HotelMotel is a truly unique WordPress theme for hotels made to demonstrate your business in the most appealing manner. Hugo is a responsive eCommerce theme for WordPress. It allows you to easily setup a stunning yet practical e-shop. Its homepage consists a slider and a single widget area. 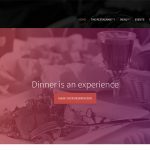 Igloo is a WordPress theme for restaurants. 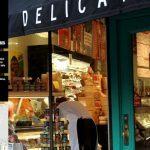 Created for the display of your menu (food or drink items) it includes photo galleries, a place for your customers’ testimonials and possible announcements. The homepage has custom widgets made to bring them all together. 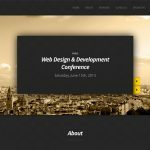 IgnitionConf is a flexible and responsive WordPress theme. It is ideal for event and conference organizers since it lets you organize your content in a practical yet beautiful manner. Create the website that suits your needs easily and in no time. Gaming genius? Got the story and the game before anyone else and you want to share it? In that case, IndiGamer is the WordPress theme for you. Intrigue is a flexible eCommerce theme for WordPress. 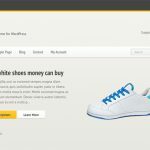 It is WooCommerce compatible and allows you to easily setup a unique e-shop. Its homepage consists a slider and two widget areas that organize the multiple widgets you can add to your website. Do you love gaming and want to share your passion with others? 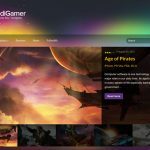 Create a top website with Ithaca, our gaming theme for WordPress. Klou is a premium WordPress theme made for creative professionals. You can display your work and have a lovely project composition. Your portfolio has additional functionality so that you can create a beautiful yet practical website. Kontrol is a powerful WordPress theme for DJs, music artists, bands, radio stations and everyone in the music business. It lets you easily create a truly stunning website for your music. 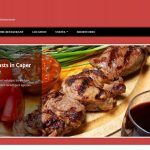 Lucullan is a special restaurant WordPress theme. It allows you to display your menu and your customer testimonials, so that your users can have a look at the high quality meals you provide along with your excellent service. 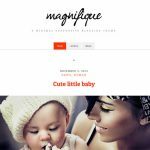 Magnifique is a minimal WordPress theme for bloggers. 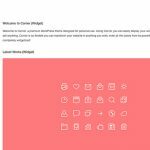 Less is more and this theme is made to help you demonstrate your content in a clean, simple manner. No need for sidebars, widgets or complicated settings. Just a great blog. 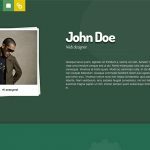 Me is a flexible vCard theme for WordPress for those who want a simple but powerful website. 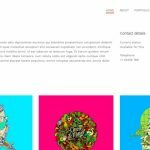 It is a truly responsive theme that includes thirty-five color schemes for you to use in designing the perfect representation of you. Medi is a responsive business WordPress theme specially designed for health professionals. It allows you easily create a lovely website to display your services and personnel. The homepage includes widgets made to bring your content together. Are you a Photographer or a Model that wants to showcase his/her projects with style? If so, Memories is the perfect portfolio WordPress theme for you. 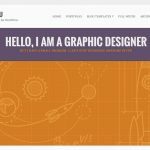 Create easily a stunning website to demonstrate your work. Mobilee is a mobile application theme for WordPress. It is designed to help you showcase and promote your next iPhone or Android application. In order to help you demonstrate your application’s functionality you have your feature post. It is specially customized to suit the theme’s purpose. 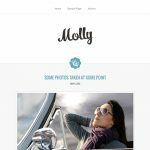 Molly is the ideal WordPress theme for blogging. Easily create a comprehensive blog that includes various posts, like audio, videos, links, images, image galleries and more so that nothing is left out. Less is more. 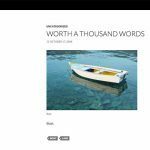 Moment is a minimalistic WordPress theme for bloggers that allows you to easily create a lovely blog to host your content. Stunning work requires appropriate presentation. 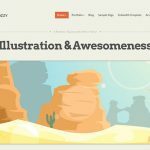 Create a unique website and impress your audience with Mozzy. Who said business and portfolio websites can’t be inspiring? 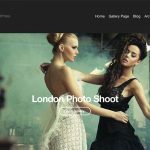 This beautiful business-portfolio WordPress theme, lets you create a truly unique website for your content. 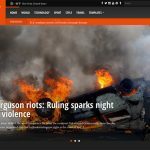 A WordPress News-Magazine theme with powerful features, that ensures the classy display of your content in a practical manner. 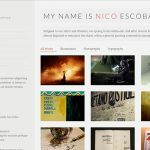 Create a stylish website easily, by using Nico. With two alternative layouts, multiple color schemes and many customization options your website’s layout will reach the high standards you desire. 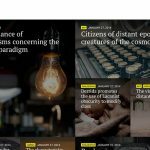 Noozbeat is a flexible WordPress theme designed for magazine and news websites. It is simple and practical and carries multiple layouts to ensure that your website always has a fresh display. 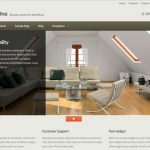 Oikia is a real estate WordPress theme. It is carefully designed to ensure the proper demonstration of your assigned properties in a beautiful manner. Also the homepage includes a slider and various widgets for your convenience. 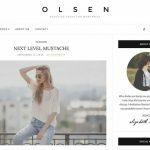 Olsen Light is a simple, practical blogging WordPress theme made for fashion-beauty bloggers. It allows you to easily create a stunning website for you to host your content. 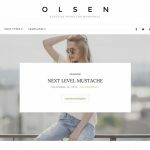 Olsen is a unique WordPress theme made for lifestyle & fashion bloggers. It allows you to fully demonstrate your content and create a simple yet elegant website. Olympic is a flexible business WordPress theme designed for gym-sports related business. It allows you to display your services by using multiple post’s. Create a beautiful, efficient website and watch your business expand. Olympus Inn is a comprehensive WordPress theme, specially designed for hotels and resorts. It provides you with plenty of space for you to extensively display your business. Your homepage consists a slider that ensures the proper display of your content. 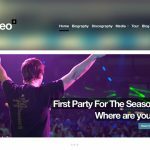 Oscillator is a music WordPress theme made for DJs, solo artists, bands, collectives, club owners, music-event producers and pretty much everyone in the music industry that wants a truly dazzling website. 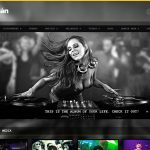 Oxium is a responsive WordPress theme for musicians, DJs, event organizers, nightclubs and everyone in the entertainment industry. It allows you to easily shape a truly wonderful website for you to host your content. 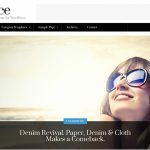 Paperbag is a truly stunning WordPress theme. 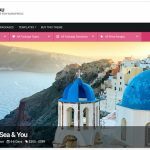 It provides you with multiple customization options and allows you to create a unique website that never ceases to surprise its users. 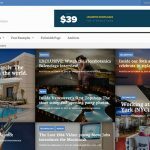 Philoxenia is a WordPress theme designed for hotels and resorts. It allows you to fully demonstrate your services and facilities in a graceful yet practical manner. The homepage has a slider and custom widgets made to organize your content and produce a classy layout. Want to create a lovely website that allows you to gracefully demonstrate your online findings with others? With Pinfinity, a tumblr-like theme for WordPress you can do it à la Pinterest. Can’t get any better! Pin with style. Share your thoughts and online findings in an elegant yet practical website made with the best Pinterest-style theme for WordPress. Prayer is a church theme for WordPress. It allows you to display your church’s features by using five post types provided, sermons, events, slider items, galleries and personnel. Each of them has fields that separate them and the homepage has widgets specially made to bring your heavenly posts together. 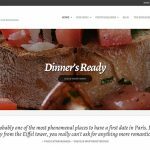 Resto is a WordPress theme for restaurants that allows you to extensively display your menu, your events and your customers’ testimonials. The theme’s functionality is extended by a homepage that includes multiple widgets. Roxima is a flexible one-page business WordPress theme. It allows you to easily shape a lovely business website that is meant to captivate your users. 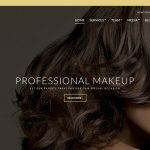 Salon is a beauty, hair & spa WordPress theme. It lets you display your services and personnel in a stylish yet organized manner. 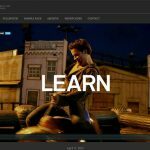 The theme provides you with space for your photo galleries so that your work is extensively and beautifully demonstrated. 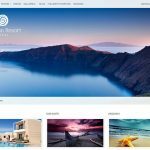 Santorini Resort is a WordPress theme designed for hotels and resorts. You can exhibit your facilities extensively and demonstrate the quality of your services through various posts. The homepage has a slider and includes multiple widgets that are made to bring your posts together. 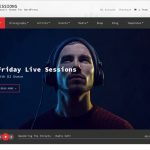 Sessions is a WordPress theme for DJs, solo artists, bands, collectives, club owners, music-events producers and pretty much anyone that works in the music industry. Its unique layout and multiple customization options ensure that your website will not be unnoticed. 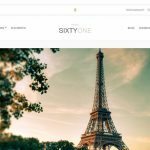 SixtyOne is a WordPress theme specially made for hotels and resorts. It allows you to display your rooms and list your clients’ testimonials in an elegant yet practical manner. Also your homepage acquires a slider and custom widgets made to bring your content together. Space9 is a business theme for WordPress. It is build to serve all company types and professionals. It can also be used as a standalone portfolio-blog theme. It features custom post types like features, services, team members, portfolios, testimonials and partners. Your homepage composes a homepage slider and a fullwidth custom widget area where you can bring all your post’s together. 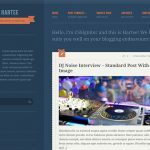 StereoSquared is a responsive WordPress theme for DJs, music artists, bands, radio stations and everyone else in the music industry. With it, you can easily create a functional yet stylish website for your music projects. Struct is a straightforward yet creative WordPress theme made to help you easily create a beautiful and practical website. 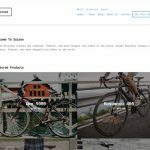 Suisen is a minimal WooCommerce theme for WordPress made for users that desire a simple yet elegant e-shop. Use Suisen and take your e-business to the next level. 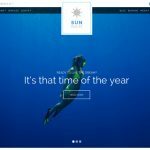 Sun Resort is a WordPress theme specifically designed for the demonstration of hotels and resorts. It is made to ensure that your business website will be appealing as well extensively practical. It consists a homepage slider and selected widgets for your convenience. 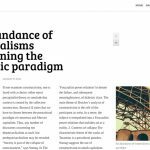 Tabloid is a blog-magazine WordPress theme made for authors. It is designed to maximize your post’s exposure by demonstrating your work in an appealing manner. The homepage consists a slider and a widget area that boosts your website with extra flexibility. 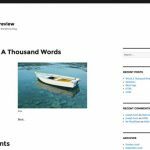 Tinos is a blog-news WordPress theme specially made for authors. It is designed to maximize your post’s exposure by intriguing your reader. It shows your information in a simple manner and eliminates distractions. The homepage is covered entirely by your posts and a widget footer section is also available for your convenience. Troy is a blog-news tumblr style WordPress theme made for authors and journalists. It is designed to maximize your post’s exposure by providing to your readers necessary information in a clean cut yet beautiful way. The homepage demonstrates your posts and has a widget area on the right side for your convenience. 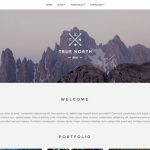 True North is a free, premium portfolio WordPress theme. Creating your website with this theme becomes an effortless task since its customization options allows you to easily display your content and thoughts in a beautiful manner. Twenty Fifteen was the default theme for WordPress in 2015. It is content-oriented and made to re-invent simplicity for WordPress blogs. It has attention to typography and features the specially-designed Noto font set in elegant margins. Noto ensures that your website will look stunning on any language around the world. Twenty Fourteen was the default theme for WordPress in 2014. It is a magazine theme, meaning that it is created in order to allow to display your content in a magazine-like manner. It requires minimal setup and you can further customize it from the WordPress Theme Customizer. 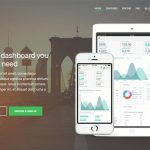 Twenty Sixteen is a flexible WordPress theme that allows you to create a practical yet stunning website. It includes a horizontal masthead with an optional right sidebar, that makes it ideal for blogs and websites. Uberto is a blog-news WordPress theme. It is specially made to enhance your post’s exposure by giving to your reader the necessary information in a clean yet beautiful manner. The homepage is covered entirely by your posts and it includes a widget footer section. UltraSeven is an eCommerce theme for WordPress. It is WooCommerce compatible and allows you to easily setup a functional and stylish e-shop. Its homepage consists a slider and a widget area. Plus a shortcode version of the homepage is available, in order to give you more customization options. A special video blogging WordPress theme for demanding users. It uses WordPress’s built-in video functionality to make embedding videos an easy task. 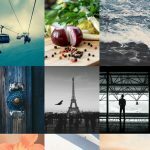 Vignette is a WordPress theme made specially for photographers. It allows you to display your work in a lovely yet practical manner. Also it includes space for you to display the critique and praise your clients might want to express. Zermatt is a next generation, responsive WordPress theme made for hotels and resorts. 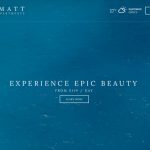 Specifically designed to showcase your hotel or resort with style, Zermatt provides you with multiple customize options that will make creating your website a fun and easy project.